Major firms including Coca-Cola and Unilever have detailed the amount of packaging that they produce each year in a new report by the Ellen MacArthur Foundation’s New Plastics Economy initiative. 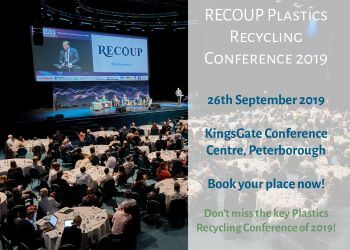 With consultations underway in England and Scotland on the benefits of introducing a deposit return scheme (DRS) to recycle cans and bottles, Coca-Cola European Partners has said what it believes will be a well-designed system. The company has revealed 11 points that it argues should be used to form a UK DRS. Sits alongside other policy initiatives such as changes to the current producer responsibility schemes and other proposed taxes. Coca-Cola European Partners head of sustainability Nick Brown said: “As a business we want to keep challenging ourselves to ensure we are part of the solution on packaging, whether it is setting ourselves ambitious targets or joining key government working groups. “Initiatives like our investment in bottle recycling in Great Britain and our commitment to keep increasing recycled material in our packs are key to ensuring more packaging is collected and reprocessed. “We believe we are at a crucial moment in time, with a once-in-a-generation opportunity to create real change for packaging recovery systems in Great Britain. We have been clear on our support for a well-designed deposit return scheme in Great Britain for some time. Coca-Cola has also revealed that it is gradually introducing recycling messages onto the caps of its bottles.